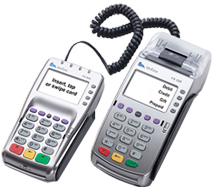 Receive equipment of your choice with an approved merchant account! 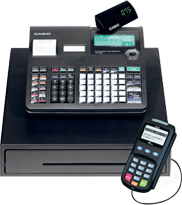 The first electronic cash register with integrated credit card processing. Future-proof your business with this cutting-edge payments technology. 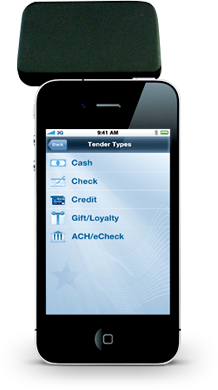 Mobile payments application with a free audio jack reader. The terminal delivers the ideal solution for businesses seeking. Compatible with Apple, Android, Blackberry and Windows Mobile devices, this application enables merchants to quickly, easily and securely accept credit and debit card payments through their smart phone or tablet, anytime, anywhere!